Panorama is a widescreen view of the world, brutally honest throughout, and unashamedly and unflinchingly political in parts. Its creator explains: “the whole point of Panorama is to think outside the box, see the bigger picture and broaden our minds.” This ethos ensures the record goes beyond the more traditional subject matter usually associated with hip-hop and explores some broader global issues. The man behind the vision is Braintax – rapper, producer, label owner, and luminary of the British hip-hop scene. After a five year hiatus he has returned to the fray stronger than ever with Panorama – a record that’s highly anticipated by hip-hop fans and also makes a strong and persuasive bid for a far wider audience. Panorama continues in the same high-quality vein as Biro Funk and, in addition, backs up Braintax’s up-scaled heightened ambitions with a bigger, brasher sound. 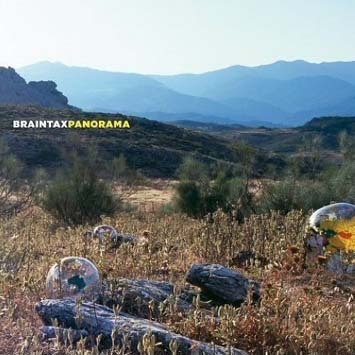 The beats range from electro experimentation to boom-bap to club bangers, with Braintax himself manning the dials on several tracks. Lyrically, topics covered include global politics - see the rabid ‘Syriana Style’ or the masterfully empathetic ‘The Grip Again’; environmental concerns through ‘Exit Plans’; race issues and home affairs on ‘Anti-Grey’, and the Thatcher dominated 1980s with ‘Decade’. Interludes between tracks include speeches from journalist Robert Fisk and George Galloway complementing and continuing the record’s overall world view perspective. It’s fair to say this isn’t your average British rapper making another average rap album. Panorama - come and admire the view.